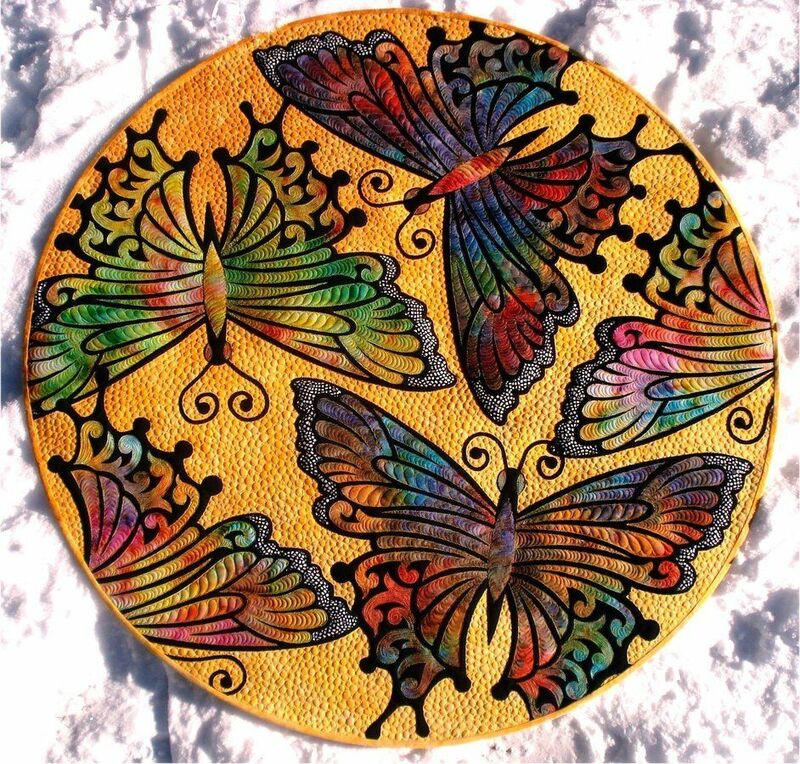 Butterfly Wall Hanging. 43 inches in diameter, raw edge applique. The colored pieces of the wing are laid on top of a large black wing. Easy and fun to make. Great for hand dyed fabrics.